When you look at successful businesses, the one thing they all have in common are great teams where employees are motivated to work and help the company succeed. Motivated employees are the lifeblood of the company. The backbones are the bosses who know how to motivate them. It is easy to motivate others when you see them every day, but how do you motivate a worker that perhaps you have never seen in person before? Options are limited, considering it would be pretty difficult to give your Filipino worker a literal pat on the back when they live thousands of miles away. So how do you do it? It all begins with understanding how they think. We have been working with Filipinos for years, and have a solid grasp on what motivates them. What Motivates Filipino Virtual Workers? Before we can motivate workers, we first have to understand what motivation really is. Motivation, according to Psychology Today, is defined as the inner force that drives individuals to accomplish personal and organizational goals. So how can you spark this “inner force” in your employees so they’ll behave in a purposeful manner? Employees are most motivated to do their best at work when all four of these needs are fulfilled by their jobs. Filipino workers are driven by the same things, but the way that we use those drives to motivate them is different because of their unique culture. Let’s investigate these four different drives and how we can be better at fulfilling them as employers. Most Filipinos work not only to fulfill their own basic needs, but for the welfare of their loved ones as well. More often than not, strong family ties between Filipinos obligate them to also provide for their less fortunate family members. This motivates them to take advantage of every opportunity that would allow them earn more. Even when they are earning more than enough for themselves, familial obligations force them to look for side jobs to help them earn a little extra money. Here at Onlinejobs.ph, we discourage our jobseekers to take on more than 1 full-time job because we know that this can affect their work life balance and performance. Occasionally giving them opportunities to earn more helps reduce worker turnover and allows them to feel your appreciation. SSS (social security), PhilHealth (social medical insurance) and Pag-Ibig (social housing fund) are extremely helpful for Filipino workers. In fact, Filipinos often cite these worker benefits as their main motivation for staying employed. The benefits often extend to their immediate family members and they also provide quick, low interest loans. Offering to pay the employers share of their workers benefits (once they’re past their probation status) will go a long way in showing your Filipino VA that you are serious about establishing a long term working relationship. The 13th month is defined as 1/12 of a worker’s basic salary within a calendar year. This was enacted into law 1987. It was created as a way to help employers budget for regular worker bonuses. Most employers release 13 month bonuses during December. If you have workers with children, you can talk to them about giving half of their 13th month early (June) as a midyear bonus to help pay for school expenses. Giving performance based bonuses allows your workers to see their growth in a tangible manner and gives them something to aspire to every year. Paid leaves for illness and vacation can be provided on a staggered basis, depending on the length of time your VA has worked for you. If you don’t need your Filipino worker to work during regular and special holidays, this already gives them 17 paid holidays. Once the worker completes his or her first, most Philippine companies provide 12 sick leaves per year, with an additional 1 day leave per year (up to a maximum of 15 leaves.) Depending on your arrangement with your worker, you can choose to have these leaves convertible to cash or transferable to the following year. If you need you VA to work during Philippine holidays, you can offer them overtime pay to make the idea of working while everyone else is on vacation a little more pleasant. Rule of thumb is if you’re making them work on a regular/legal holiday, you need to pay them twice their hourly rate. If it’s on a special holiday or on their rest days, you pay 130%. The Philippines get hit by roughly 20 typhoons per year. It would be best to hire workers from areas that are not regularly hit by strong typhoons. But in the event that your worker is affected by a calamity, allowing them to take a leave, loan, or advance on their salary, goes a long way to securing their loyalty. High speed internet can take up a significant chunk for your Filipino VA’s salary, especially if they need to have more than one internet service provider. Offering to pay for or subsidize for high speed internet can greatly increase your worker’s productivity and encourage them to keep working for you. Curious about other benefits Filipino companies give to their workers? Here’s a summary of other benefits you can offer your worker. Filipinos are very social. They want to belong and feel connected with friends, family, and the people they work with. Even if your VAs work away from each other, you can still make their virtual work environment a “place” that would make working for you a great experience. 9) Communicate with your workers often. 10) Give them a sense of belonging. A lot of business owners don’t want their clients to know that they outsource. Whenever possible, allow your workers to identify themselves as workers under your business. Filipinos WANT to belong, it’s a badge of pride for them to be able to say that they work for a foreign company. 11) Praise your VAs when they do a great job. Motivate your Filipino virtual assistants by recognizing extraordinary efforts. Cash is a good motivator but praise helps create a positive work environment that motivates workers to do more and do better. It can be something as a simple as an email or an “e-plaque” that your worker can print out or share on social media. 12) Encourage friendships between your workers. It’s not just about improving teamwork. According to study from the Yale Business School and Evolv Industries, workplace friendships have a positive effect on worker productivity. They saw that the more involved a worker is with an organization (in the form of friendships) the easier it is for them to adapt to challenges. They are more likely to perform better when they are socially invested in helping the organization succeed. 13) Support and encourage collaboration between your workers. Encouraging your Filipino VAs to turn to another for help with work can reap a boat-load of benefits. A study from Stanford University shows that when worker collaboration is encouraged (not forced), not only are employees more motivated to work, they achieve goals faster, and there is less stress and better engagement. Filipinos take a lot of pride in their work. They like to feel important and know how they contribute to an organization. Responding to a worker’s drive to comprehend motivates them because it it defines their role within an organization. 14) Set clear job descriptions. Job descriptions don’t just help with recruiting workers. Detailed and clear job descriptions help increase productivity because it helps workers understand what they should focus on. It also improves morale and employee retention by creating realistic work expectations and defined parameters for employee performance evaluations. 15) Set regular goals/milestones for your worker to reach. Setting goals or milestones motivates workers and improves their productivity because it gives them direction on where they should target most of their efforts. It also encourages them to be more participative and proactive in working through challenges in order to achieve their goals. The drive to defend is our natural instinct to defend ourselves, our property, and our position. This doesn’t mean that you threaten to fire your worker to motivate them. It means that every once in a while you need to give your workers challenges to prove their worth. 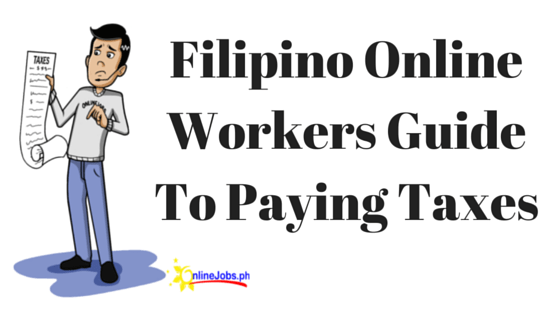 16) Provide training for your Filipino workers. Filipino workers welcome the opportunity to do more for their company, but you have to help by providing the tools they need to do this. Providing training for your VA gives them the confidence to take on more complicated tasks and motivates them to do more. The more skills they acquire, the more valuable they feel, and the more motivated they are to showcase their skills to help you in your business. 17) Create a career advancement system/career path. Filipino workers want to know what their future will be like if they decide to work for you in the long term. Career advancement and job titles provide workers with a source of pride and proof of their development as workers. Creating a career path for your workers will also allow you to develop your VAs, enabling and motivating them to take on more complicated tasks and more responsibilities within the business. 18) Give your deserving Filipino workers leadership roles. Use your own Filipino VA to motivate your other Filipino workers by giving your most experienced and most reliable workers leadership roles. Also, by giving your Filipino VAs leadership roles, you’ll be able to share or delegate management and training responsibilities to them. There are many methods and theories to motive workers. Ultimately, the best mix of methods depends on you, your management style, and your workers. Get to know them and understand how they flourish best. The key is to be consistent. Let your workers know what they can expect from you and make it their responsibility to meet your expectations. it’s really a good opportunity for job seekers online especially those who are unemployed individuals. I cannot download my government id i already scan id to my phone and still its not working. can u help me? Please email support@onlinejobs.ph . They can help you with instructions on how to upload your government ID to your profile. Good article. I am an entrepreneur still building my company and my business. I need a good team behind me to confidently sell more services, and would love to have a team that grows with me, and would reward them accordingly. Starting out, though, it would be tough to provide some of these incentives. – providing them training and encouragement, etc. how to apply and what is the requirement? Hi! I am relatively new in this kind of industry but I am willing to work online. However, it seems the employers are looking for those with experience already. How can I invest on (online) experience when no employer gets newbies like me? Hope I can get help on this. when you have goal nobody will stop you because you work for achieved. Not always…. even if you have a solid goal if your salary is always delayed, you will become demotivated. Thanks for your comment. We will work on updating this post soon. Hi i am very much willing to be one of the freelancers in this outsource company I am a socila media marketer or any job that suites to my qualification. It is very important to know all of this. Its great to have an opportunity like this!!! for those Bachelors Graduate that want to work Homebased. Im interested to work for your team, i have actual experience in sales & marketing from consumer based pharmaceutical & distributors before. Residing here in Manila…willing to undergo online sales productivity. I had just applied to one of the positions posted for the jobseekers yesterday. How many days would it take you to at least inform me about the development or status of my application? All applications go directly to the employer so we don’t have any control on when you would be informed. But we encourage you to follow up in a few days so you’ll know right away if you’re accepted or your should apply for the next job. Can anyone please help me how to start ? Or please let me be on you team? I’m willing to learn. BUT i am very soon about to!! Hello Gud day… How can I upload photo? Is there an specified file format ? I am a CPA but not practiced my profession for more than 10 years now as I am working in the human resource industry in a senior role in operations and business development. Is there an opportunity for somebody with my experience for an online job? Excellent article, having motivated employees is crucial for the success of any business. These benefits and motivational factors will certain help when I use your services to find qualified VAs. I’ve found a very friendly employer and very happy for that.? good day, i have a question though. How would i know that i have successfully uploaded a government ID? I did upload my passport but every time i open my acct it keeps on asking me to upload a government picture. and applying for job, it it unlimited? i have this error message “Don’t apply to jobs you’re not qualified for. Doinga so may affect your ID Proof score.” what does it mean though? Now regarding your questions: How would i know that i have successfully uploaded a government ID? I did upload my passport but every time i open my acct it keeps on asking me to upload a government picture. Sometimes this happens with the image file you uploaded is too big. Try to keep the image size under 3Mb. If you’re still encountering problems, you can email us at support@onlinejobs.ph and we can upload the image for you. i have this error message “Don’t apply to jobs you’re not qualified for. Doinga so may affect your ID Proof score.” what does it mean though? This isn’t an error message. It’s actually a warning because we’ve encountered a lot of jobseekers who apply for jobs that they’re not qualified for. If you are qualified for the job and your ID proof score is high enough for the job you can safely ignore that message and continue with your application. hi, I just created my profile. How can I achieve 50or higher ID proof? I can’t apply to job opening because I don’t qualify when it comes to ID proof requirement. Make sure your profile is complete and that you don’t have a duplicate account. It usually takes 24 or 48 hours for your score to rise because we have to do some vetting first. But if you have completed all these and your IDProof score hasn’t risen, please email our support staff (support@onlinejobs.ph). I’m considering outsourcing some of our work. Can you tell me what I should expect for the costs of SSS, Philhealth, Pag-lbig and how that would be paid? Going to the 3 sites I wasn’t able to see what the costs would likely be. Do you already have a page for this that I have missed? Philhealth and Pag-ibig costs around $5 per month, separately.SSS contribution varies depending on the salary, starting from $8 to $43 per month. So how as me, as an employer pay for that. Is there websites that we would need to go to?. How would we know what exactly is the cost to pay? What is the best way for an employer to pay for an employee’s internet access? I guess they can send me the bill and I can give them an allowance? This article states that 12 sick days per year is normal for office positions. What about for Online emplyoment? What is the best way for an employer to pay for an employee’s internet access? I guess they can send me the bill and I can give them an allowance? That would be the best option. TO make things easier for both sides, maybe they can just email you the bill/ receipt and you can reimburse them. This article states that 12 sick days per year is normal for office positions. What about for Online emplyoment? It depends on your arrangement with your employee. But you can consult the link above, where I talked about paid time off. I was able to came across the page before the person you showed here in the site having multiple accounts and not to hire this person. I forgot where I will pull up that page. Can you find it for me? Just want to take note the name of the person and how they look like. Please email our support@onlinejobs.ph. But no worries, we flag/block multiple accounts. So it’s not likely you’ll come across that person again in our database. Hi, please i would like to work with your company, is there any job vacancy available? I am very interested to work. ? may i ask if the trust proof will not reach 100% what will happen will i not be able to apply for my desired job? Hi Shaira, you ID proof score doesn’t have to be 100% to apply. Your score just has to be higher than what was required by the employer. For example, the employer is requiring the workers to have an IDProof score of at least 50. If you score is higher than that, then you shouldn’t have any problems applying for that job post. is philhealth id can be use as government id to be uploaded for my profile? Hi, I’m Raymark Anda a 23 years old Bachelor degree holder of Digital Arts for almost 2 years now.I’m a Filipino Graphic Designer right now but i rather not call myself a graphic designer but i do know a lot in designing im on the process of honing my skills by practicing daily but practicing alone is not enough but i do have experience working as a graphic designer for a company but sadly it only last for a year due to circumtances the company have. But luckily im working as graphic artist right now at Zagu Food Corp. It’s good and stable but my pay is not enough to supply my needs and responsible for my parents and younger siblings plus the satisfaction of an artist didnt even upside. I also do like to showcased my skills to others without being hassled down outside of my home(you know the traffic problems in ph) so im looking for an home based job that i could showcased my talents and skills plus having a great salary. So as an individual or a tool i rather say i’m a living weapon for editing and creating computer graphics that don’t have a proper holder. After Effects (same goes for Premiere but i guess with much more editing cause that includes effects and cool 2D and 3D Animation, Motion graphics and stuff like those. This skill sets shows what kind of a individual artist i am now. Some applications of adobe and Maya like indesign, illustrator, dreamweaver, 3D maya i do know them but only the basic and right now im still on the process of learning them deep too as i honed my skill set for future success. This is a great introductory knowledge for a people like who is new in this business. Hope I will work for a client who is very supportive for a newbie like me. This opportunity can expand and upgraded their skills and knowledge even they working at home. I have some bad experience in out sourcing,but I have worked in Saudi Arabia as an Electrical Material engineer and noticed that Philipino workers are talented and well organised. These tips by you are an added advantage to handle the task. I have been hiring from this site. Unfortunately for me, I have found the applicants to grossly overstate their abilities costing me a lot of money firing and rehiring. The experience for an American to hire virtually and then be tricked, scammed, or completely disappointed with the result, is not helpful to the employer and completely tarnishes the good Filipino employees who are honest and work hard. I would suggest doing a blog on how to be a good employee. This could discuss expectations and also how US and other countries operate a business. Instead of focusing on all the things the Employer should be doing for the employee in a way that shows entitlement, teach the worker to make their employer happy, thereby increasing the opportunity for more raises, bonuses, and perks. By doing this, you build up expectations, so the employee is prepared to perform. A good Filipino hire helps raise the bar, many bad experiences taint the whole Filipino potential hire pool. I hear many American business owners say they were so disappointed with the experience that they will never hire in the Philippines again. So traumatized by the wasted money and bad experience. Some even have spoken of retaliation by the employee against their company online. Can you imagine wasting $800 for an employee that didn’t perform and then the fired employee begins spamming and attacking the employers’ reputation? I think it would be good for the companies like online jobs to provide a first-month guarantee as well as vet the candidates much better. Having seasoned pros within the organization interview employees prior to allowing them to apply for jobs could weed out many bad employee candidates. The business owners and entrepreneurs that I know typically have long-term in mind and will reward good employees appropriately. They are more likely to start at a lower wage to try out the candidate and then quickly adjust salary for a good candidate. If they were trained to expect this, everyone would be happier. I have hired at $300/mo US and at thirty days increased to $400 and at 90 days increased to $500. After 6 months satisfactory, again gave a raise as well as a 13th-month bonus. Naturally, it is expected to give Phillippine holidays off. Bottom line is there is a vast number of employees to chose from and a limited number of employees. The employer needs to be happy or the employee gets fired. Preparing the employee to be a good employee and honest will derive its own rewards without an entitlement atmosphere. Online Jobs should protect employers from retaliatory employees as well. This behavior only drives business away from Online Jobs and away from the Phillippines. The infographic in #5 goes to a broken URL. Thanks for pointing it out Carrie! We have now fixed the link. I am interested to work here, I have no work right now and really I need the job. This is very informative. I wish you could have added “Not to pay your VA’s peanuts”. I thought $4/hr was low but $1/HR, $2/hr for multiple tasks, seriously? great article guys! i learned a lot from this!